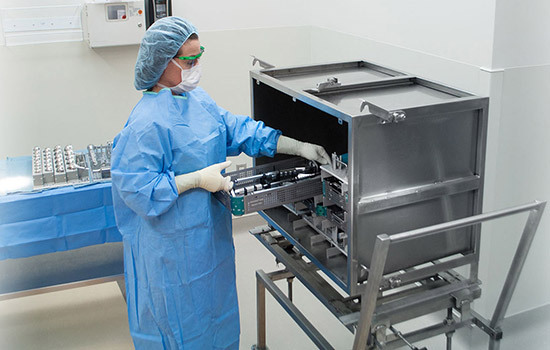 Founded in 2013 by Rick Richmond and Rob Turbett, Turbett Surgical is a revolutionary surgical container designed to eliminate many of the repetitive steps currently required to prepare and deliver surgical instruments to the sterile field. 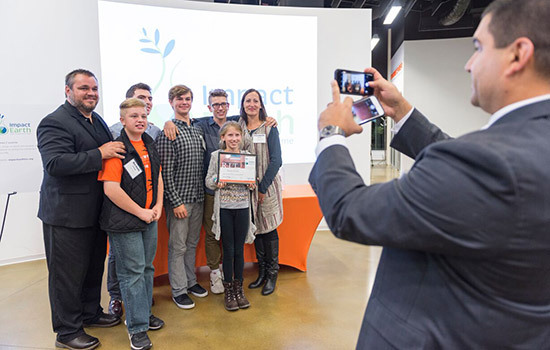 Venture Creations, the business incubator at Rochester Institute of Technology, celebrated the launch of four new businesses at a graduation ceremony Oct. 17. 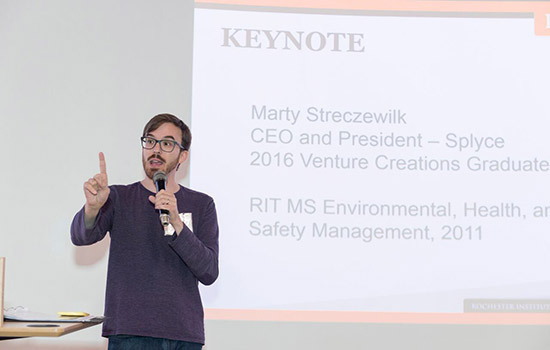 In addition to recognizing the business start-ups, the event featured a networking reception and a keynote address delivered by 2011 RIT graduate Marty Strenczewilk, founder, president and CEO of Splyce, an electronic-sports franchise that launched from Venture Creations in 2016. 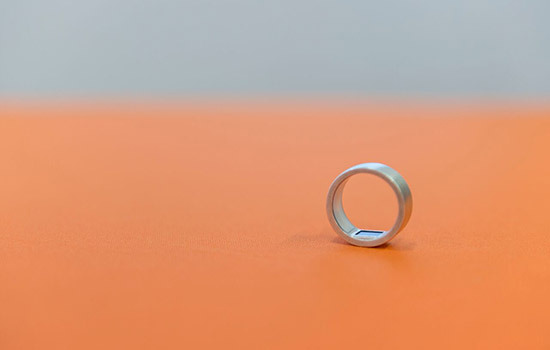 Token: Founded in 2015 by RIT alumni Melanie Shapiro ’07 (fine arts), ’08 (MBA), and Steve Shapiro ’05 (information technology), Token is a secure two-factor authentication identity ring with a fingerprint sensor that replaces all your keys, cards and passwords. Token, which has already sold out its initial preproduction run, was recently featured in Tech Crunch. Ten employees of the company have one or more degrees from RIT and the company has raised in excess of $1 million from third-party investors. Impact Earth: Co-founded by Robert Putney, Elizabeth Carey and Cassidy Putney ’16 (public policy), Impact Earth is a zero-waste solutions company providing individuals, businesses and event planners with personalized training on sustainable practices. This year, Impact Earth has serviced The Constellation Brands—Marvin Sands Performing Arts Center and Brighton Central School District. The company has recently accepted its first third-party investment. 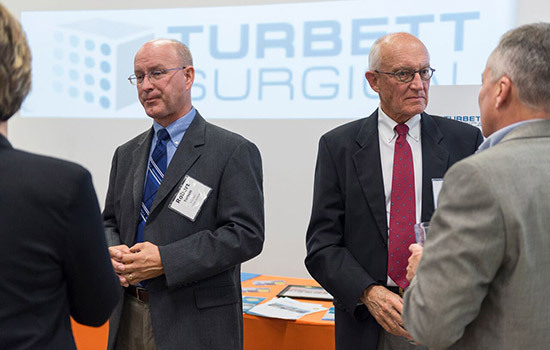 Turbett Surgical: Founded in 2013 by Rick Richmond and Rob Turbett, Turbett Surgical is a revolutionary surgical container designed to eliminate many of the repetitive steps currently required to prepare and deliver surgical instruments to the sterile field. 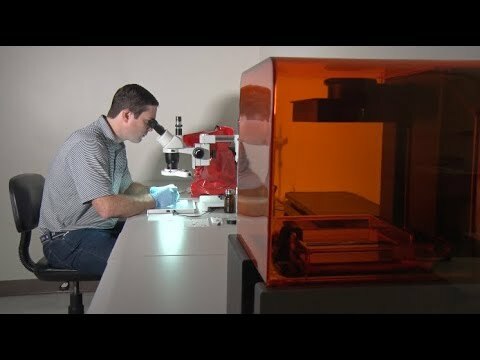 Its product is currently in use at 12 hospitals and the company has raised more than $1 million in third-party capital. Optel: Founded in 2014 by Jay Eastman and his son, Zach Eastman ’14 (mechanical engineering), Optel is a one-stop shop for medical device companies seeking assistance with design, engineering and manufacturing, as well as for guidance in working in a highly-regulated environment. Optel has served 11 clients and generated sales of $1.2 million. Together, the four companies have introduced 21 new jobs into the economy. Raffaelle also mentioned that each of the graduating companies includes at least one founder who is an RIT graduate, and all have engaged RIT students in their business’ development. During his presentation, Strenczewilk offered words of wisdom to the representatives from the graduating companies and encouraged the entrepreneurs to find their purpose, trust their gut when making critical decisions, and hire great people who are awesome at their jobs. “The people that I work with inspire me to learn new things every day,” he said. Strenczewilk also explained how being passionate about your business can translate into acquiring investors. 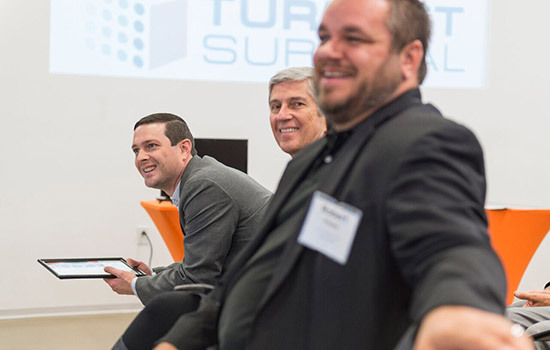 As a unit, Venture Creations promotes regional economic development; 27 non-acquired companies from Venture Creations continue to run their businesses in New York state. Venture Creations was created in 2003 to provide services to incubating companies, facilitating the development and operation of these companies for the purpose of advancing the educational and research missions of RIT through the enhancement of faculty, student and staff involvement in high technology. It was also created to promote economic development and competitiveness in Monroe County and New York state by encouraging and facilitating the transfer of technology resources to the marketplace. Thirty-eight companies have graduated from the incubator and together have created 454 jobs. Token, co-founded by RIT alumni Melanie and Steve Shapiro, has already sold out its initial preproduction run.